Kiss me, I made Irish Car Bomb Cupcakes. I made these cupcakes for NYE with my friend Ellen, and I have been saving them until now. Clearly they are the perfect cupcake for St. Patrick's day. This cupcake is an Irish Car Bomb in cupcake form. 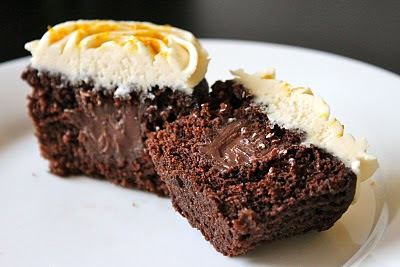 A Guinness chocolate cake, filled with a Jameson Chocolate Ganache and then topped with a Bailey's Irish Cream Buttercream. I'm not sure it gets much better than that. I have seen these cupcakes on many websites, but I used the recipe found on Smitten Kitchen. She really is amazing and you can trust anything you make on her website will be delicious. I really love turning alcoholic beverages into cupcake. I made White Russian Cupcakes for NYE as well and am already plotting which drinks I am going to make next. 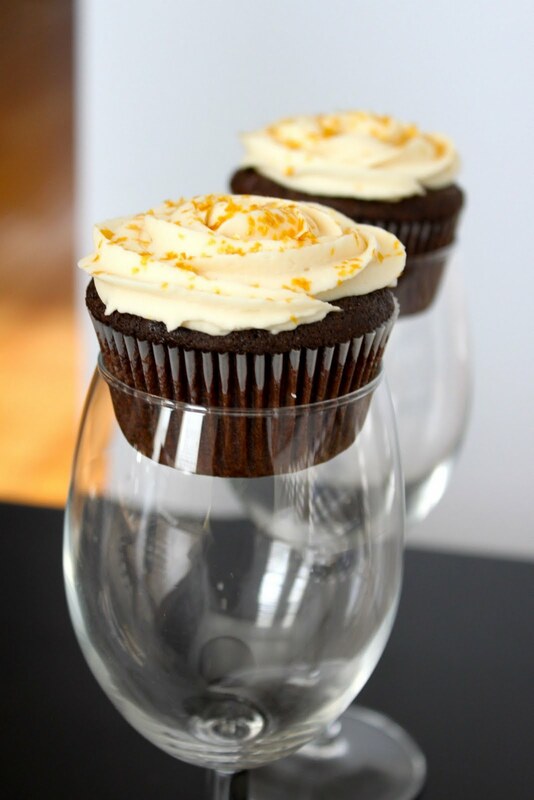 I have been waiting for an occasion to make Champagne Cupcakes. This summer I definitely plan to make some Pina Coloda, Margarita, and Fuzzy Navel Cupcakes. Anyway, back to these cupcakes. You should make them for St. Patricks Day and if not St. Patricks Day how about a random Saturday..or they would be really nice after a long Monday at work. Whisk flour, sugar, baking soda, and 3/4 teaspoon salt in large bowl to blend. Using electric mixer, beat eggs, sugar, and sour cream in another large bowl to blend. Add stout-chocolate mixture to egg mixture and beat just to combine. Add flour mixture and beat briefly on slow speed. Using rubber spatula, fold batter until completely combined. Divide batter among cupcake liners, filling them 2/3 to 3/4 of the way. Bake cake until tester inserted into center comes out clean, about 17 minutes. Cool cupcakes on a rack completely. Chop the chocolate and transfer it to a heatproof bowl. Heat the cream until simmering and pour it over the chocolate. Let it sit for one minute and then stir until smooth. Add the butter and whiskey and stir until combined. Cool until thickened, but soft enough to pipe. Using your 1-inch round cookie cutter or an apple corer, cut the centers out of the cooled cupcakes. You want to go most of the way down the cupcake but not cut through the bottom — aim for 2/3 of the way. Put the ganache into a piping bag with a wide tip and fill the holes in each cupcake to the top. Whip the butter in the bowl of an electric mixer, or with a hand mixer, for several minutes. Add salt. Slowly add the powdered sugar beating until combined. Slowly add the Bailey's until you reach your desired consistency.